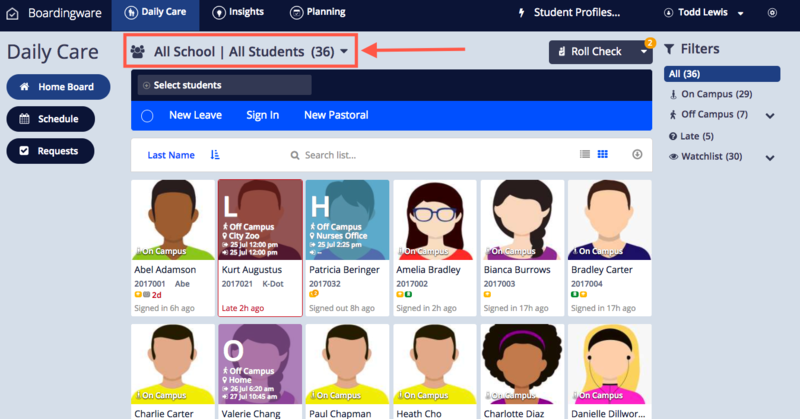 The 'All School' view gives you the ability to view all your students, from all houses in one place. 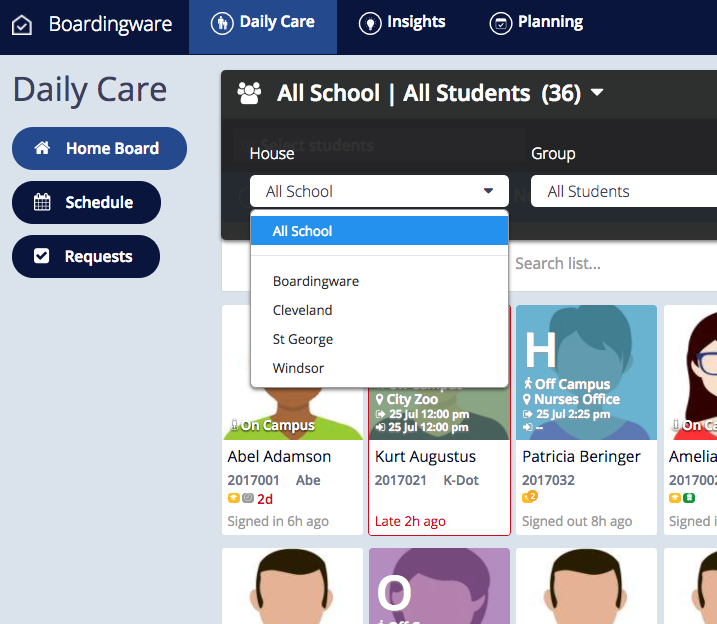 You can see in this screenshot the 'House' | 'Group' information shows "All School | All Students". This means we are looking at all Houses and all Groups at once. 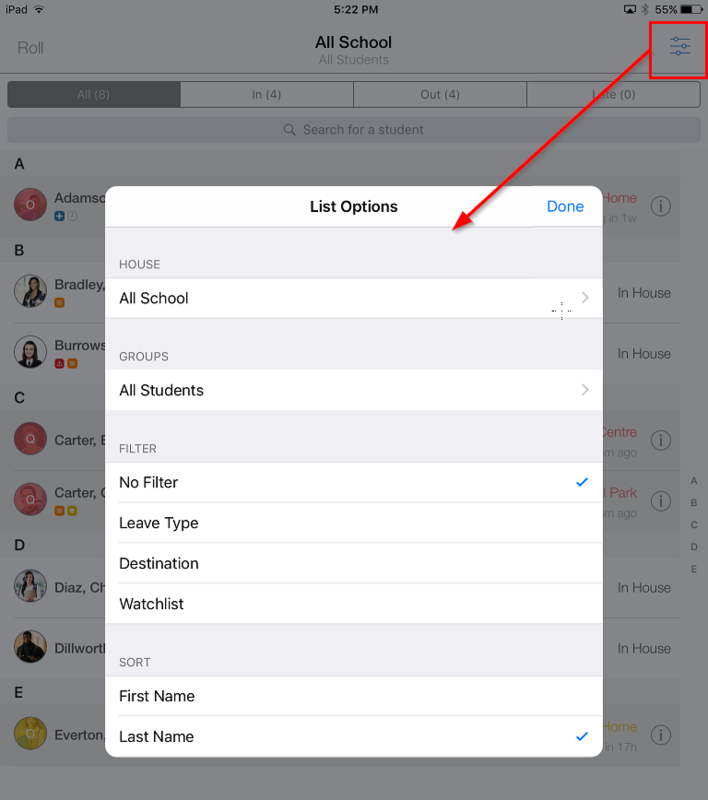 Simply click the 'List Options' button in the top-right hand corner of the screen to access the filters.